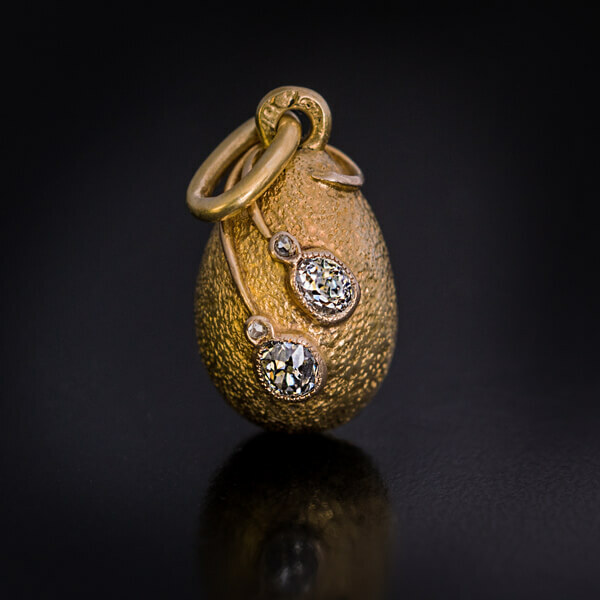 This rare original Faberge egg pendant was made in St. Petersburg between 1908 and 1917. 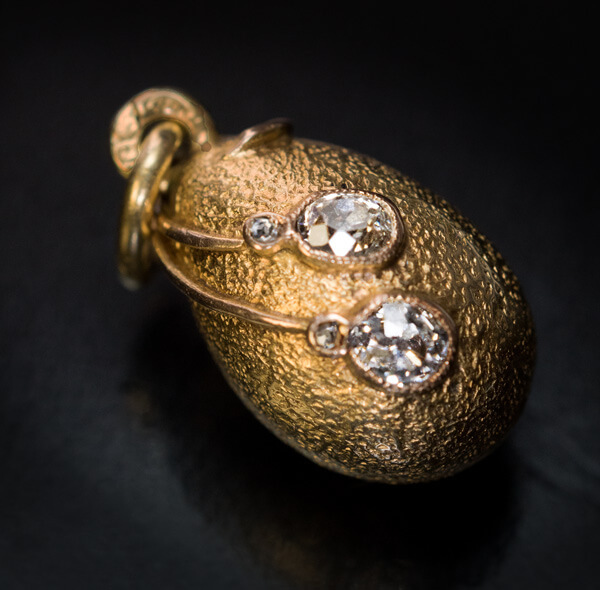 The pendant is designed as an egg-shaped gold nugget embellished with stylized diamond flowers or berries in Art Nouveau taste . 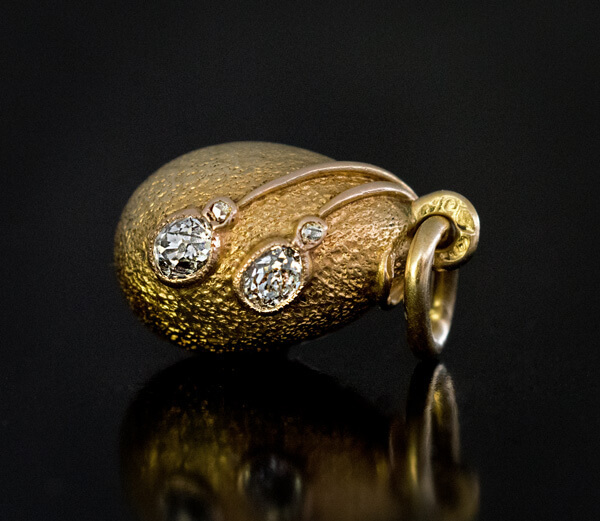 The flowers/berries are bezel-set with two old cushion and two rose cut diamonds. 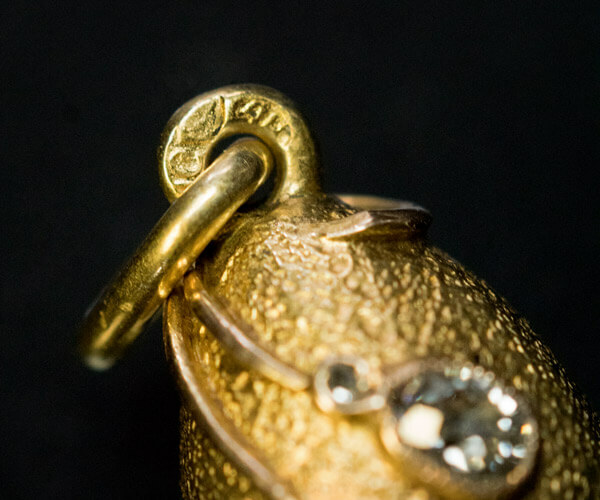 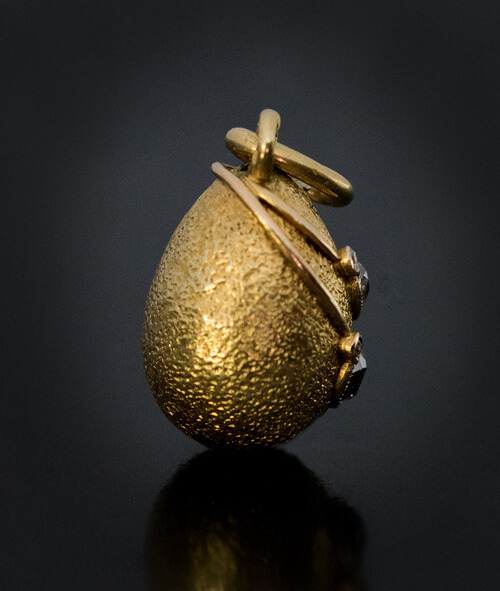 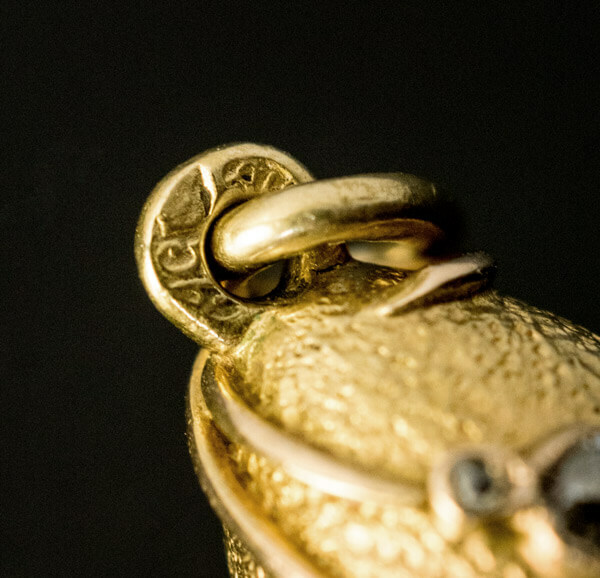 The egg is marked with 56 zolotnik Imperial gold standard and initials ‘AH’ for Faberge’s workmaster Albert Holmstrom.